Size - 36 to 41 sq.m. Hair dryer, bath-robe and bathroom amenities. 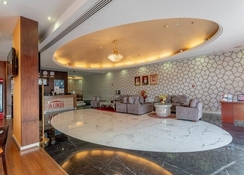 The Five Star Luxury hotel is located in Al Barsha, Dubai, right next to the Mall of the Emirates and conveniently midway between Dubai Marina & Downtown Dubai offering easy access throughout the Emirate. 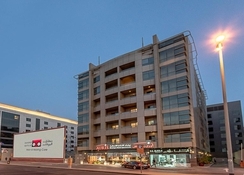 The Plaza is only 25 minutes away from Dubai International Airport, 20 minutes from the new Al Maktoum International Airport and a few minutes’ walk from the nearbymetro stations. By car, a ten minute radius will cover top business stops such as Dubai Media City, Internet City, Business Bay and Financial Centre as well as leisure and shopping spots which include Dubai Mall, Burj Khalifa, Palm Jumeirah, Madinat Jumeirah, Emirates and Montgomerie Golf Clubs, Wild Wadi waterpark and Jumeirah Beach. 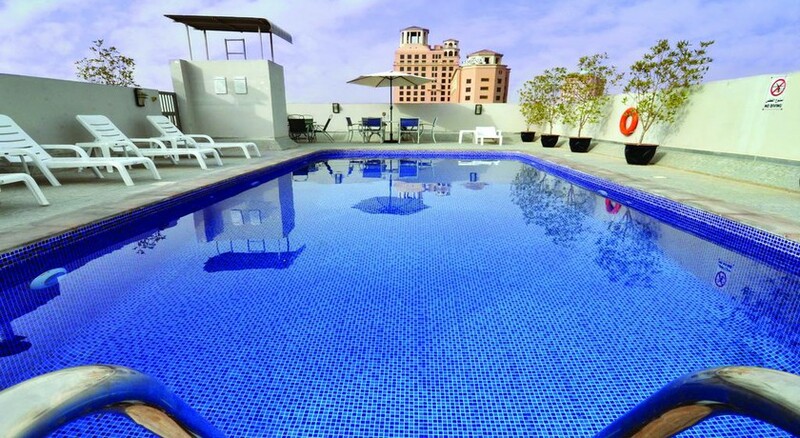 The hotel features a stunning rooftop swimming pool, offering truly stunning views of the city, the perfect place to relax and unwind.